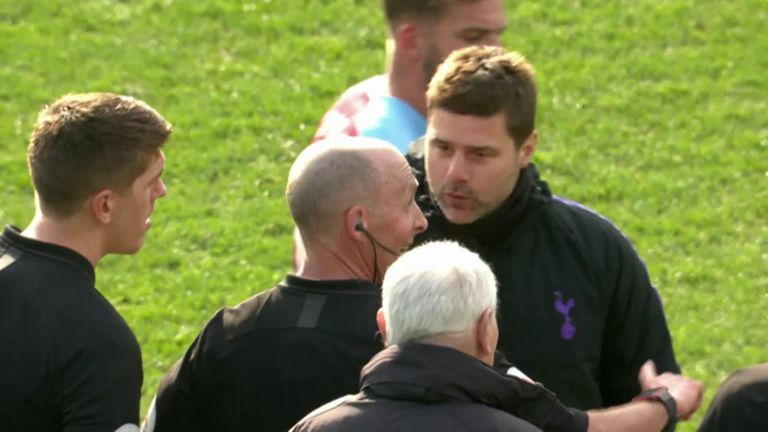 Mauricio Pochettino squared up to referee Mike Dean in a furious exchange on the pitch after Tottenham's title bid stuttered at Burnley. The Spurs boss confronted Dean and his officials in the centre-circle at full-time - and it appeared amicable - until something was said towards Pochettino and his staff as they walked away. The Argentinian returned - appearing to repeat "what?" 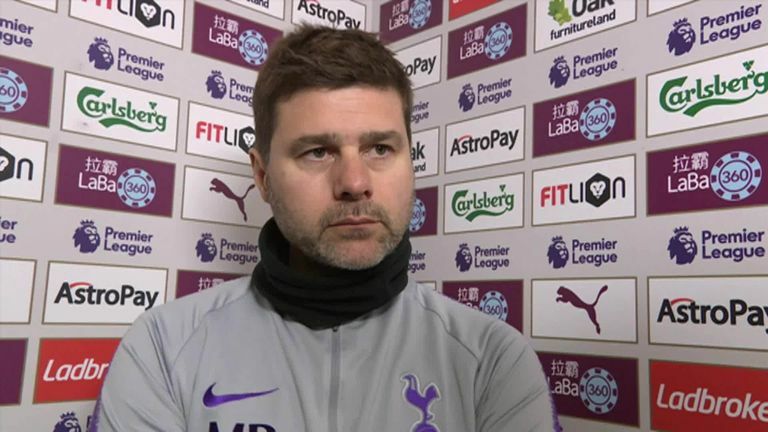 - and fronted up to Dean and his officials, while Pochettino's assistant Jesus Perez could be seen angrily pointing his finger towards Dean's face and appearing to shout "you can't say that!". All those involved refused to disclose what was said when asked to comment by Sky Sports. But Pochettino and his staff could face recriminations from the FA with an unhappy Dean to include the incident in his post-match report. After the incident, the Spurs boss admitted he had made a mistake and would take whatever FA punishment may come his way. He told Sky Sports: "It's so important to understand that it was such an important game for us. I believed before the game it was going to be decisive if we want to be a contender at the end of the season to fight for the Premier League. "But at the end, because of the emotions, everyone was nervous, sometimes we find answers, excuses, and try to justify the defeat. "It's not how I normally behave, maybe because I knew very well before and after the game, when we lost, that it is going to be difficult to be a real contender. "I am going to accept everything that can happen from the FA. But what happened on the pitch I hope is not going further." In his post-match press conference, Pochettino expanded: "When you feel so disappointed and upset, maybe sometimes you make mistakes. We made mistakes on the pitch and I made a mistake after. "I needed to go straight away to my dressing room and wait there, drink some water and be relaxed. But what happened has happened."